The core product is free to use. 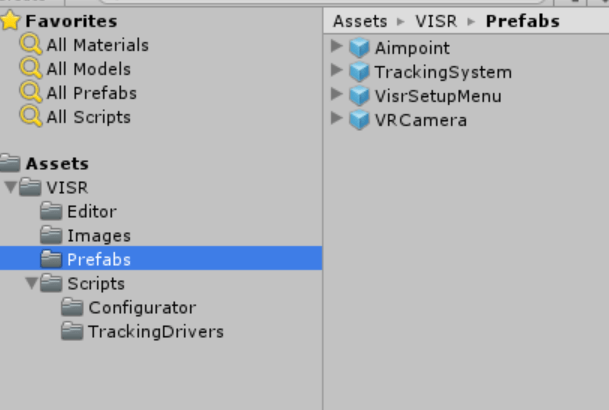 Then import the VISR SDK Unity package by either dragging and dropping it onto your assets folder or use the Unity Assets menu to import a custom package. 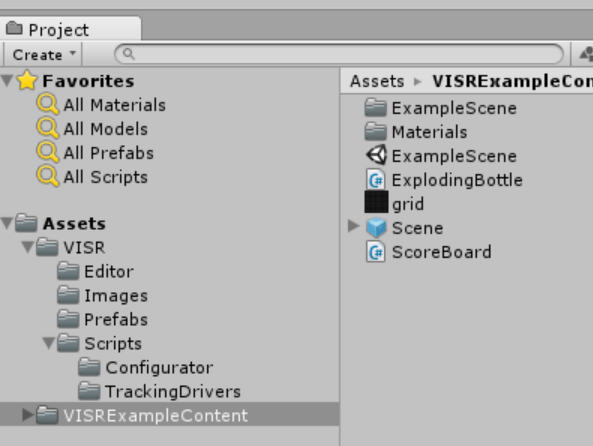 Notice that there are some scripts, some prefabs and some images, etc. 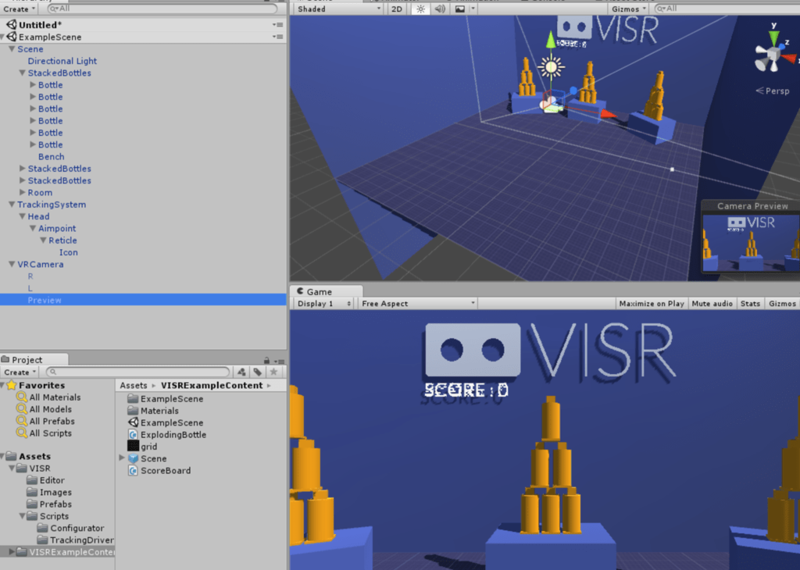 If you want to explore the code and see how the head tracking or rendering works it is all here to see. 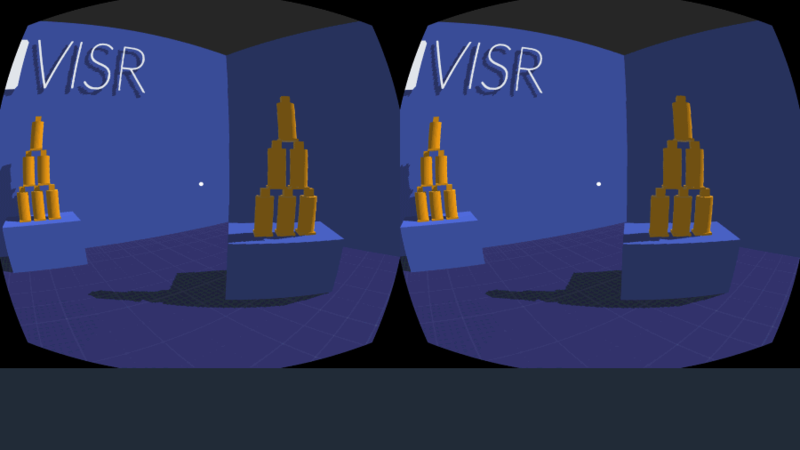 You can then drag the ExampleScene into your current scene and you can remove the existing directional light and existing main camera (as the example scene has a VR camera set up already). 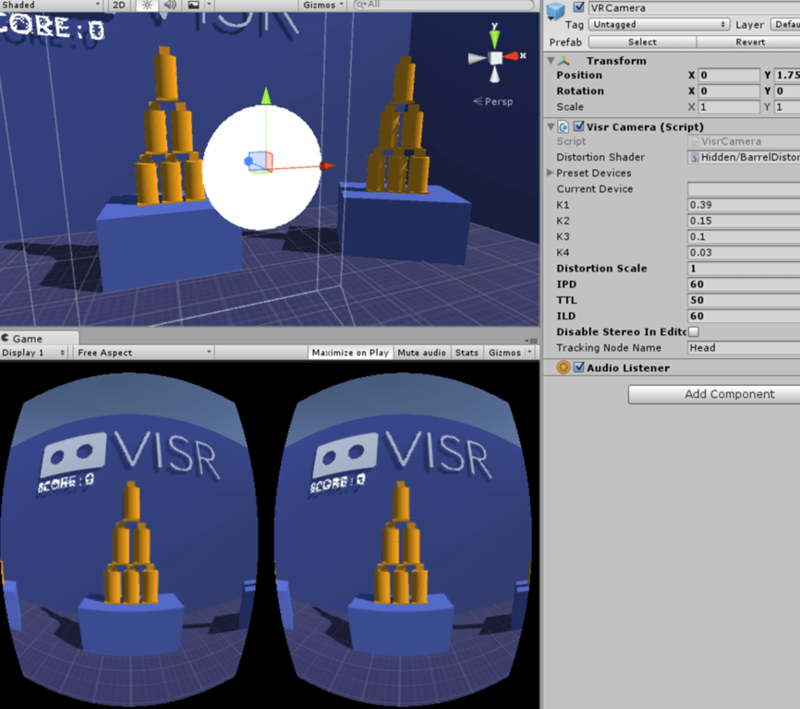 The VRCamera takes care of stereoscopic rendering and lens distortion correction (for more details on those topics please see http://peted.azurewebsites.net/windows-phone-mobile-vr-stereoscopic-rendering-lens-distortion-in-unity-3d/). 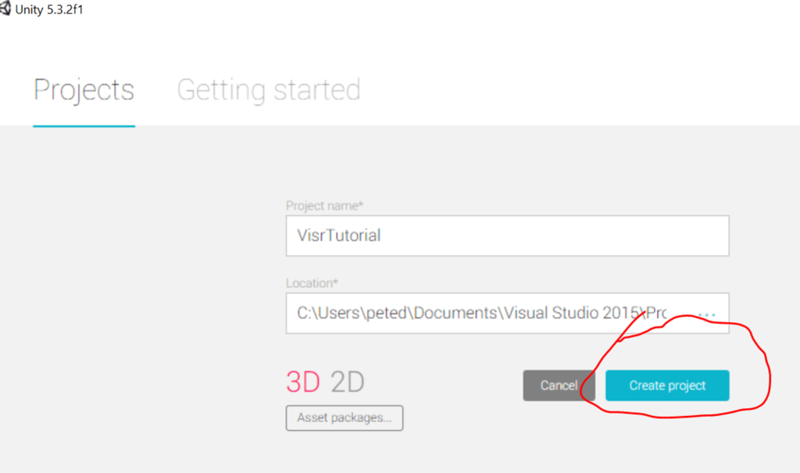 If you select the VRCamera in the scene and in the property inspector find the setting ‘Disable Stereo in Editor’ and uncheck it then you can view and experiment with the settings for the rendering such as the inter-pupillary distance (IPD) and the coefficients of distortion. . 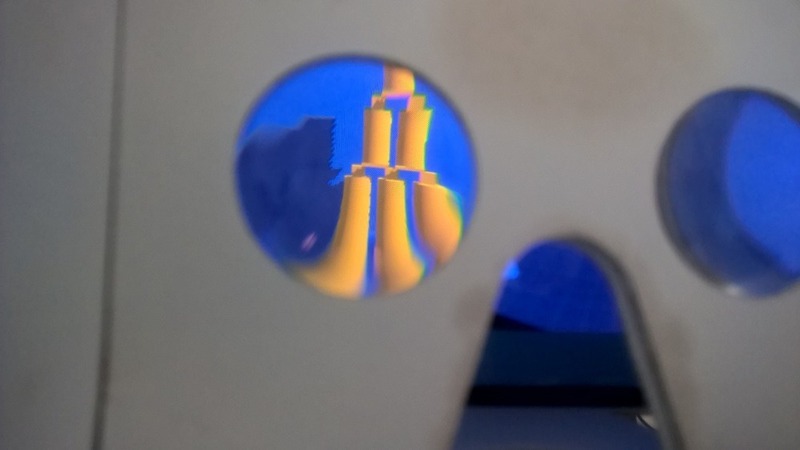 The bottles are set up as rigid bodies and configured such that tapping the mobile screen when the aim ray is pointing at them will apply a force and knock them over. 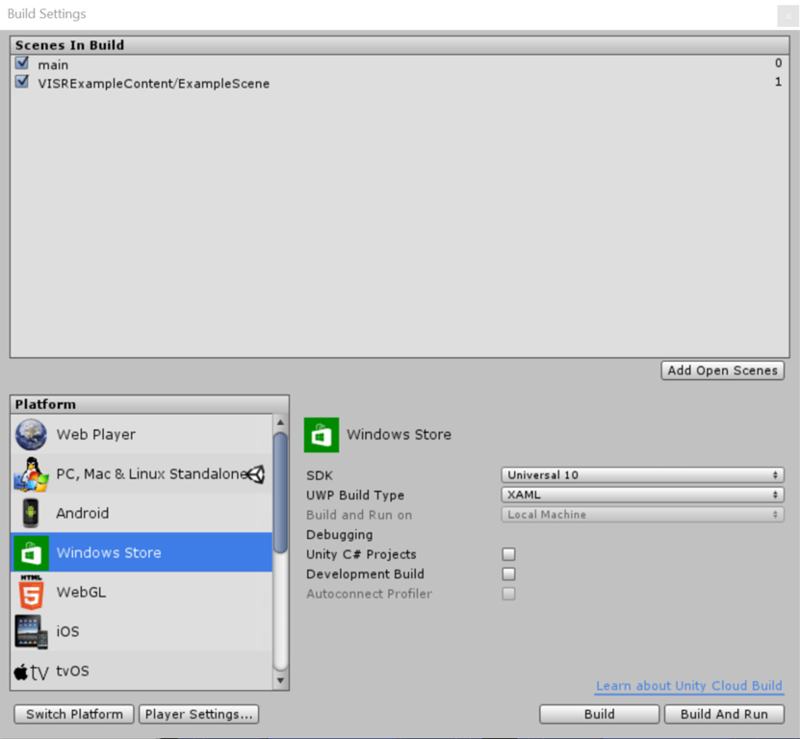 Click on ‘Add Open Scenes’ and select the Windows Store option and choose Universal 10, XAML and hit Build. 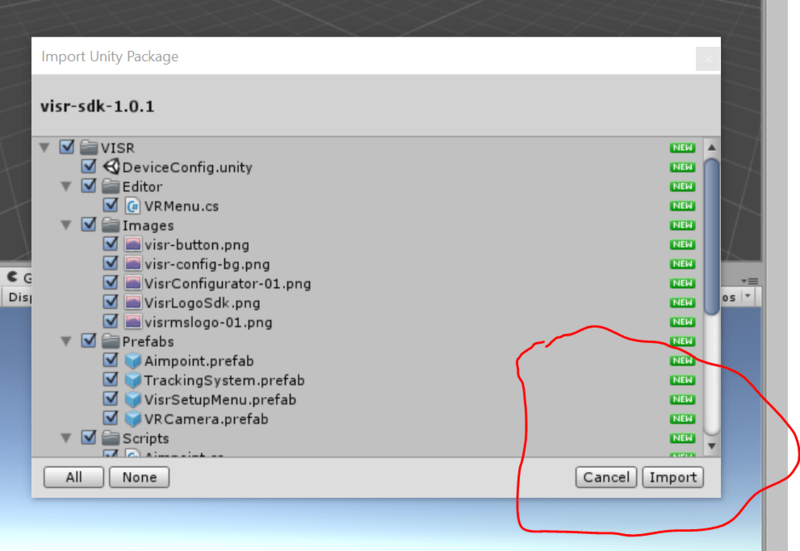 Unity will then prompt you for an output folder location and then will generate a Visual Studio project which you can build and debug on a Windows 10 mobile or desktop. 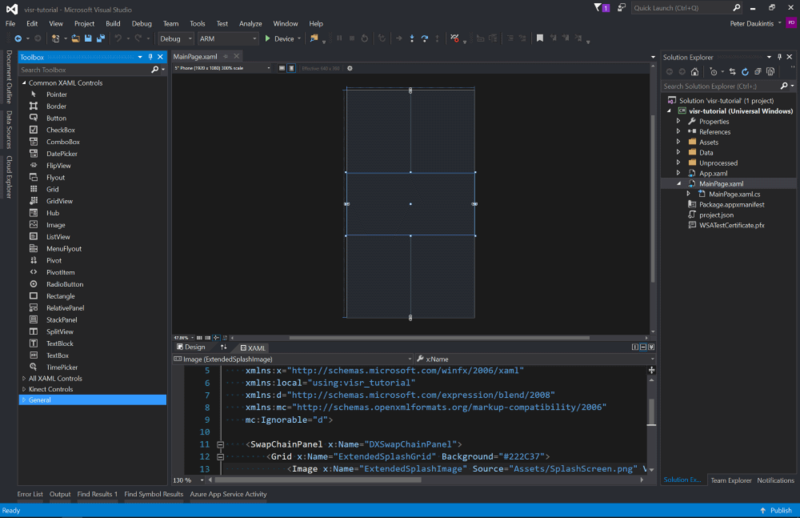 The screenshot below shows the resulting project opened in Visual Studio 2015. 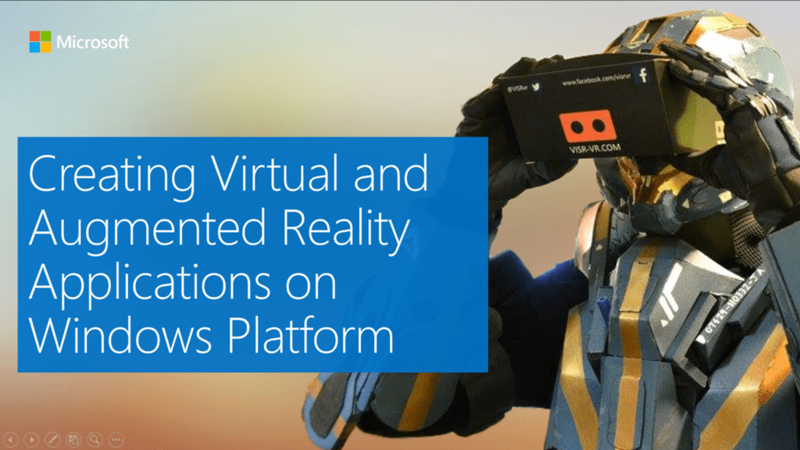 Hopefully, you can see how straight-forward it is to get your mobile vr ideas up and running – check out the MVA final module for details of how to submit your completed vr game or demo to the Windows Store. 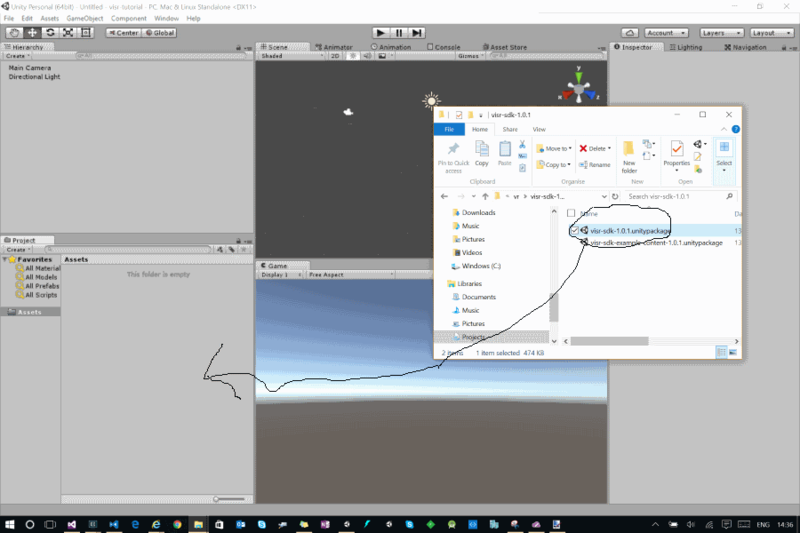 i try the example program on a lumia 640XL, it work fine , but the little ball don’t move when i turn my head right or left. have you the same problem? and may be a solution? I think it does not work with a Lumia 640 XL, because it does not have a gyroscope, which is needed to track your head’s position.